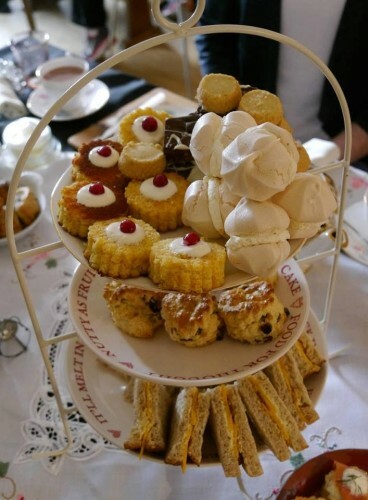 Afternoon Tea was invented by the Duchess of Bedford in 1840, by which time the Union Canal was already a busy route for haulage and commuters. So why did it take until last year to combine the two?! Because these days, the Union Canal is a fantastic place to relax and unwind with a peaceful cruise ideal for sampling the delights of our Afternoon Tea. Step away from the bustling Edinburgh streets and enjoy the most unique Afternoon Tea experience in the city – aboard the Lochrin Belle. Let yourself relax and unwind on a gentle cruise along the Union Canal whilst sampling a tremendous homemade selection of sandwiches, scones and cakes provided by the ‘Inside Out Chef’. Want to hire the boat for a private event?